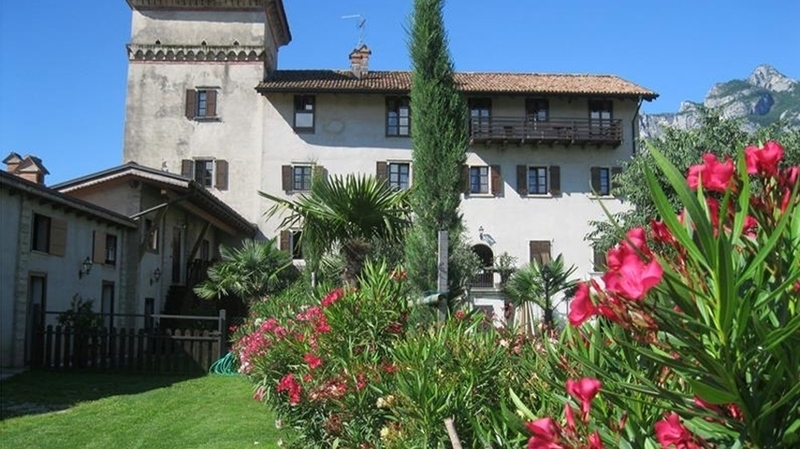 Residence La Colombera has a long history. 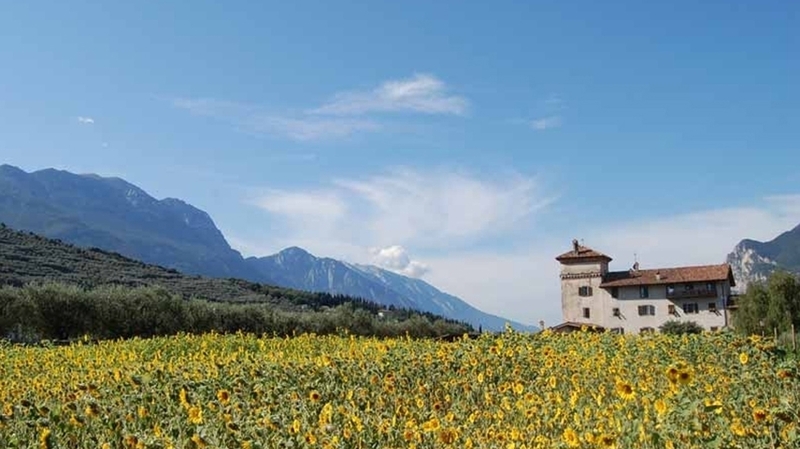 The castle nearby Riva del Garda, amid olive groves and vine yards, was built in the 16th century. 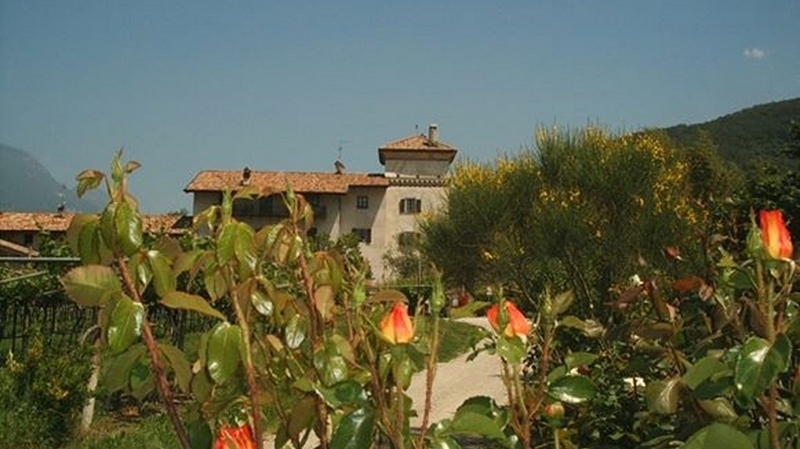 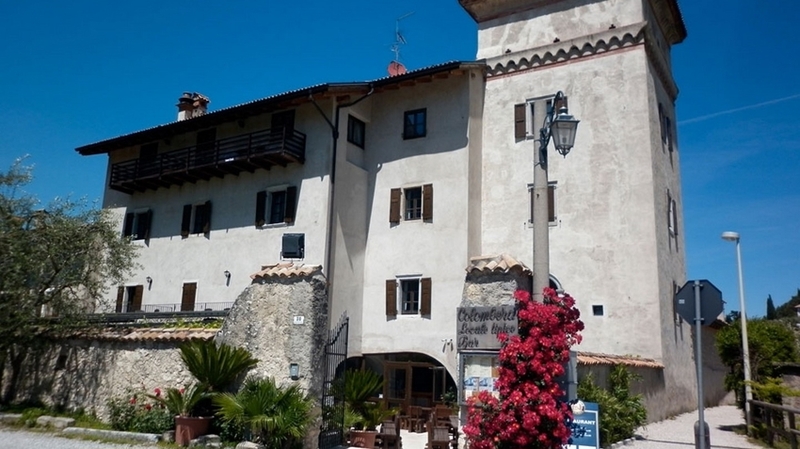 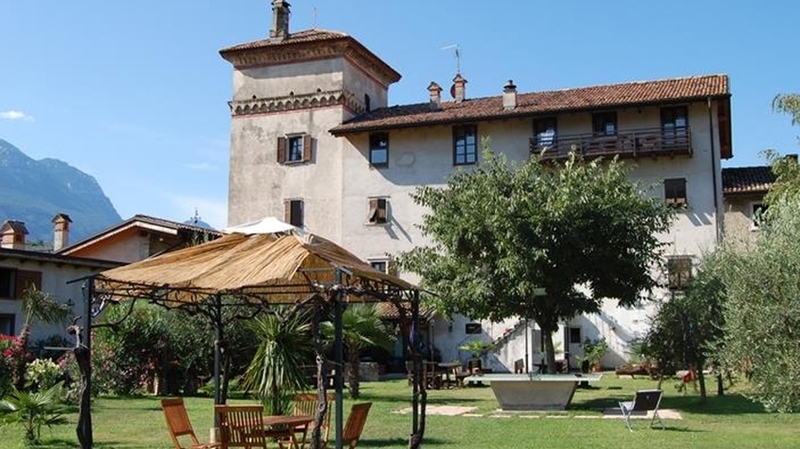 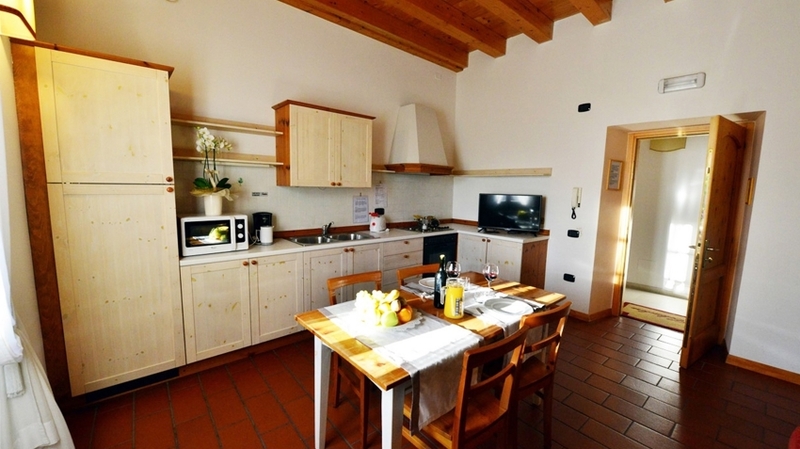 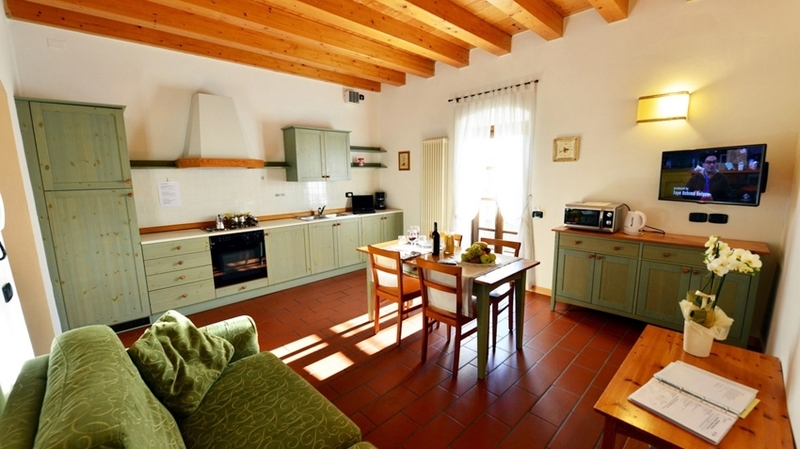 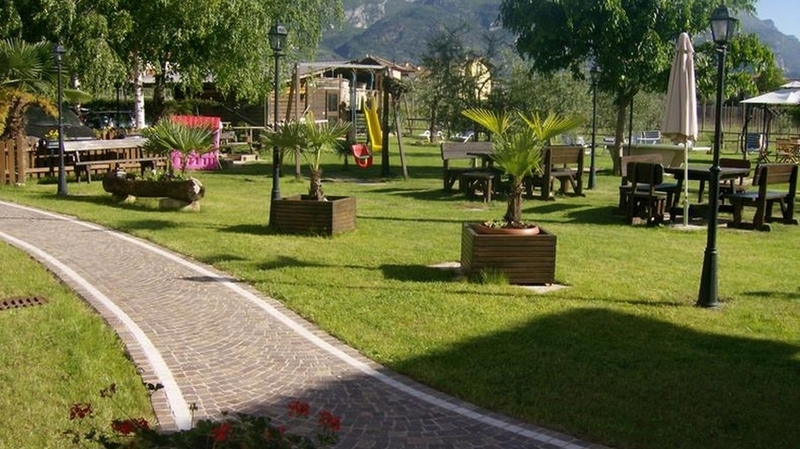 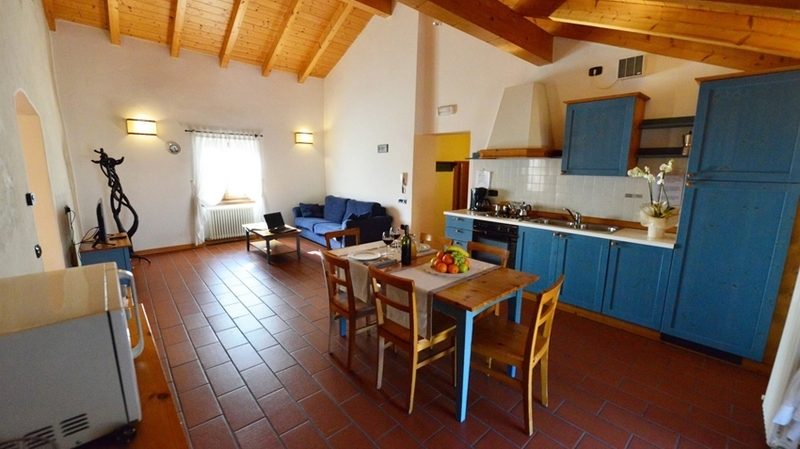 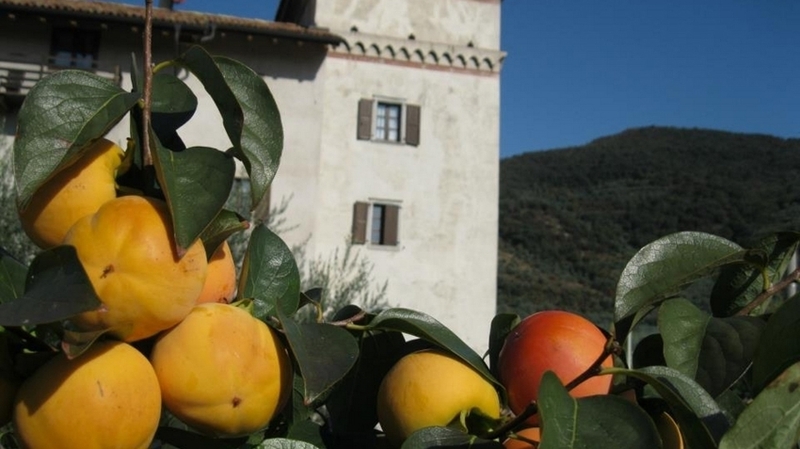 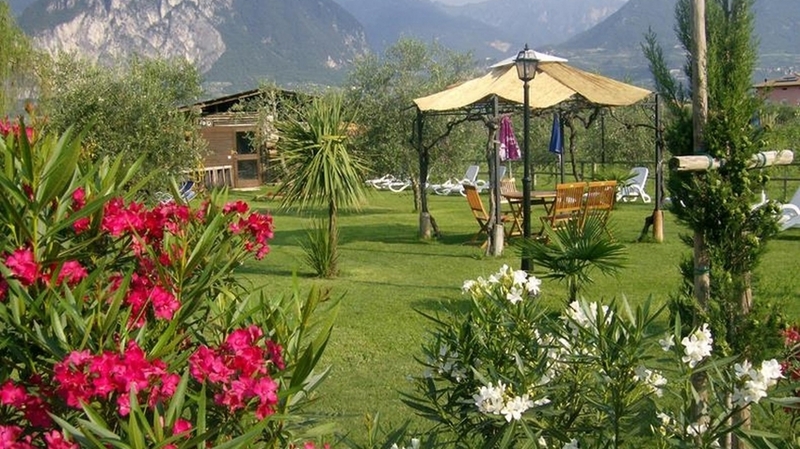 Today it is one of the most authentic agrotourism at Lake Garda and offers tastefully renovated holiday flats. 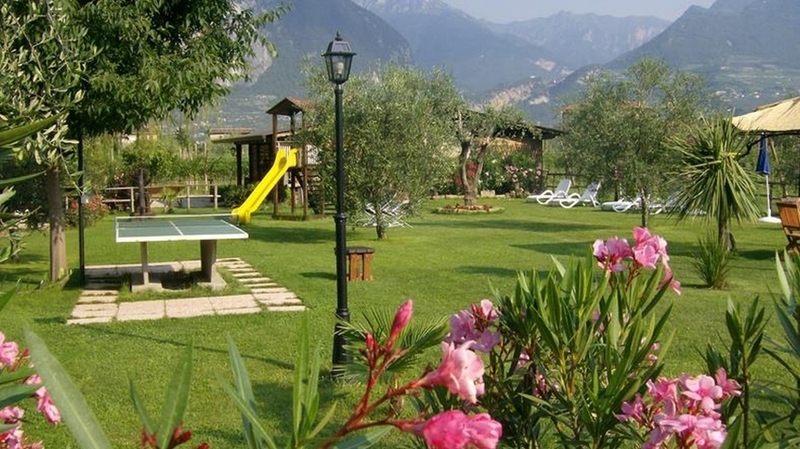 Despite its quiet location in the middle of nature and at the foot of Mt. 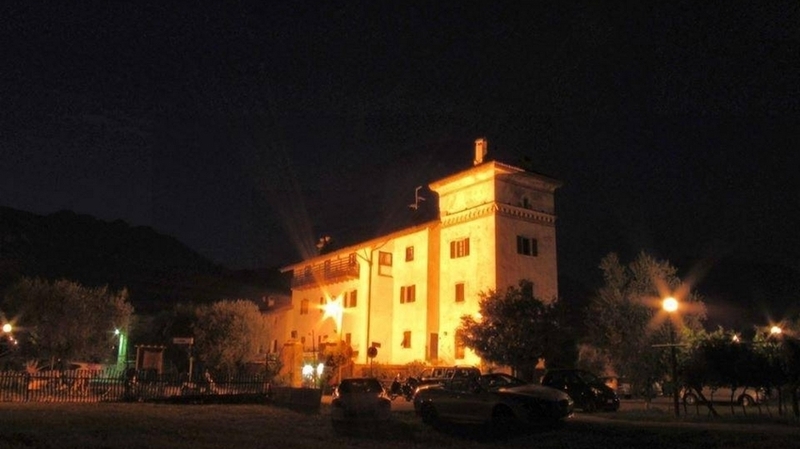 Monte Brione, you can reach in 15 minutes on foot the centre of Riva del Garda and in 10 minutes on foot the lake shore. 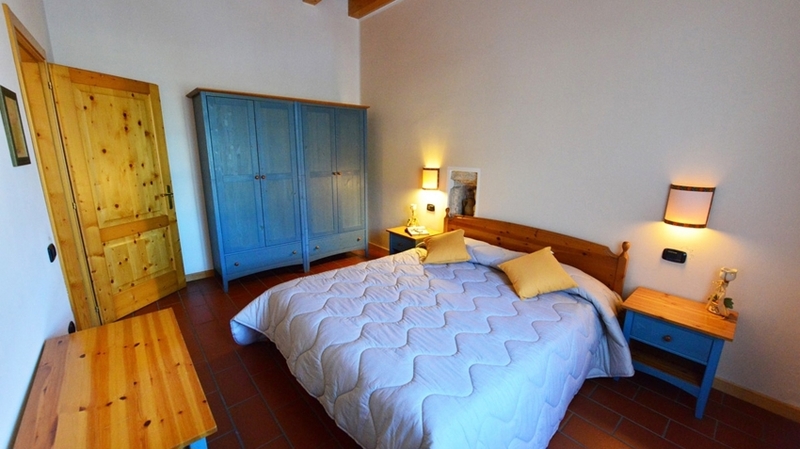 You can also use one of our citybikes, which we lend our guests for free. 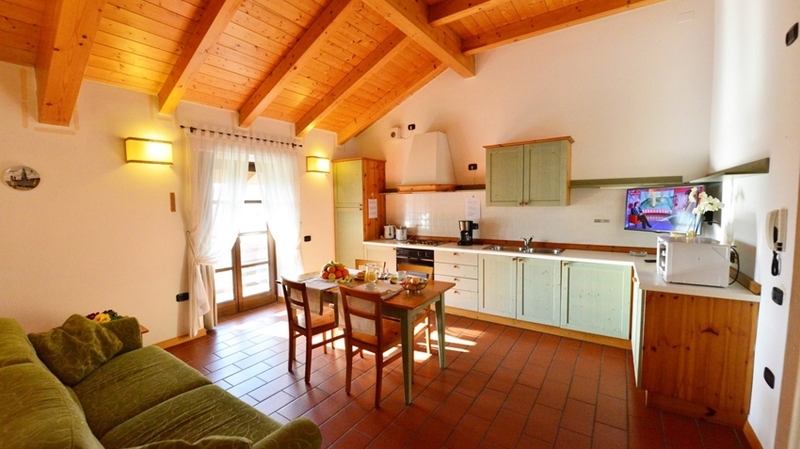 Our lovingly renovated holiday apartments in various sizes have room for 2-6 persons and are equipped with every comfort you need for a pleasant holiday at Lake Garda. 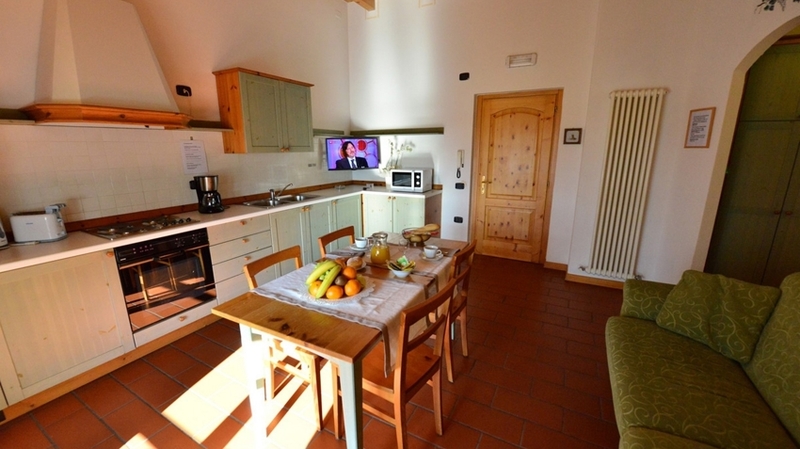 That includes among other things a completely equipped kitchen with fridge, microwave, coffee machine, toaster and kettle, free Wi-Fi, satellite TV and linen for bedroom, bathroom and kitchen. 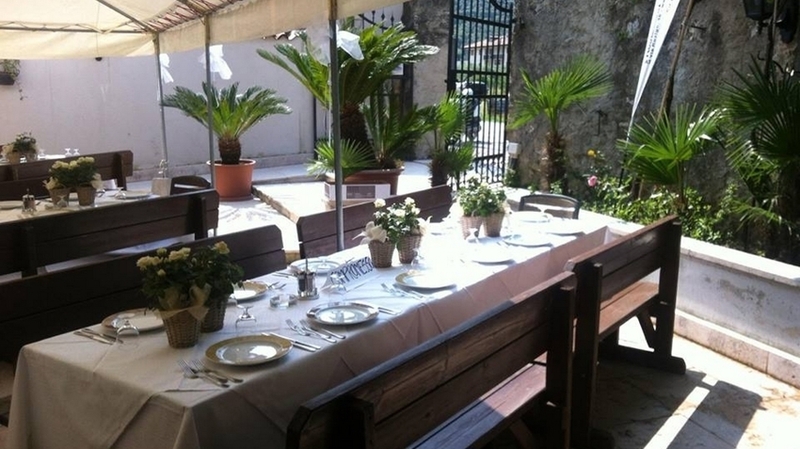 We provide also high chairs and cots on request. 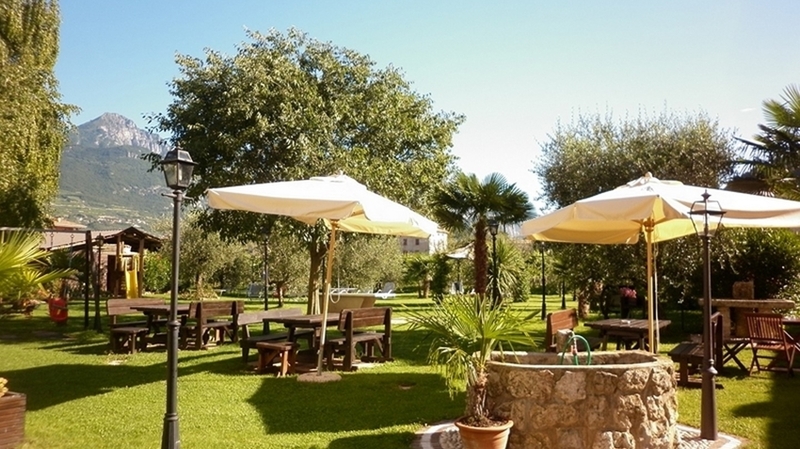 In the inviting garden of La Colombera you can find sun loungers, sunshades, tables and chairs for breakfast or dinner, a barbecue, a children’s playground, a volleyball field, table tennis and much more. 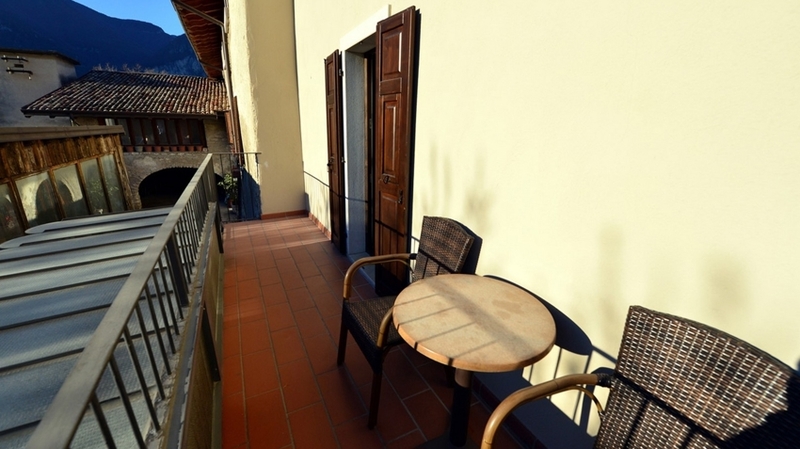 Our residence offers furthermore a shady car park, a monitored storeroom for motorbikes, bicycles and surf equipment, a washing machine and a restaurant. 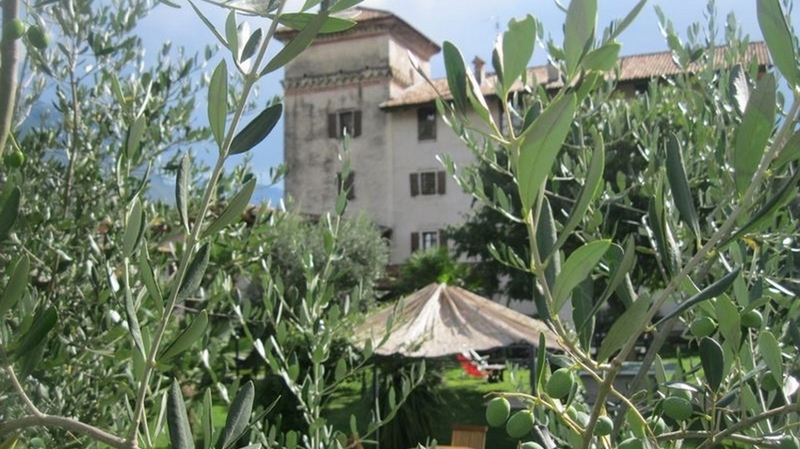 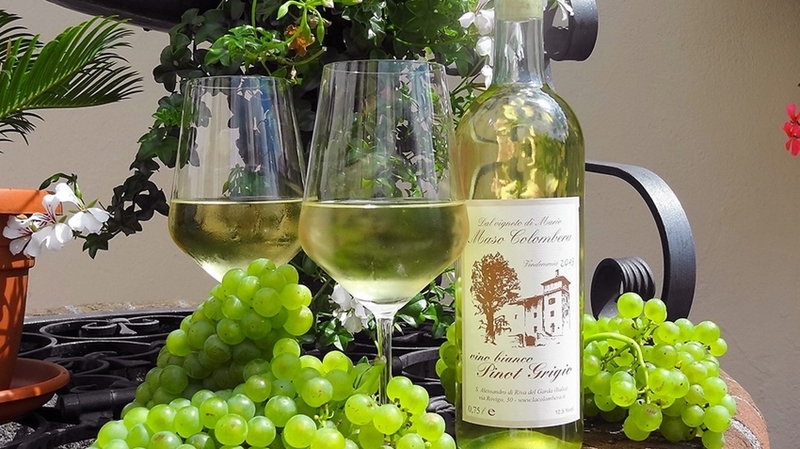 During your stay in La Colombera in Riva del Garda you can taste our homemade olive oil and our wine. 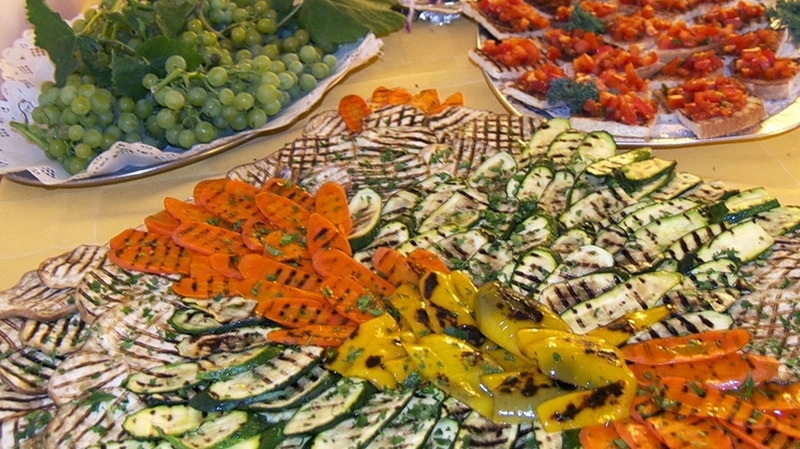 We produce them with special attention to the high quality and the careful production. 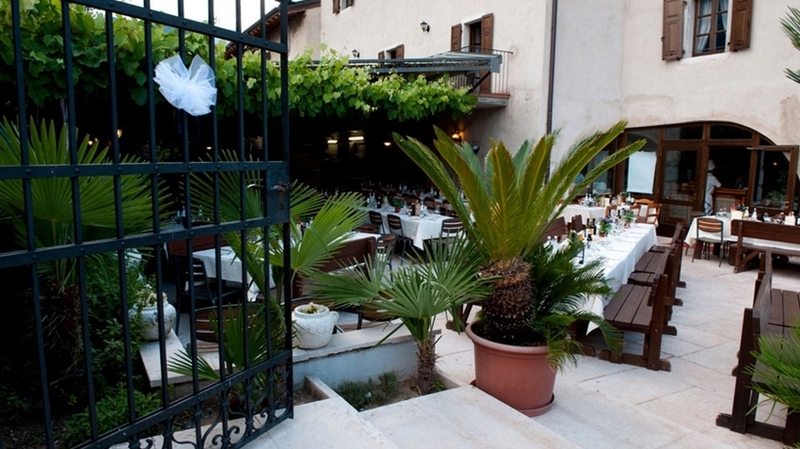 You can enjoy our olive oil and our wine also in our restaurant, where we use them to prepare traditional dishes from the region. 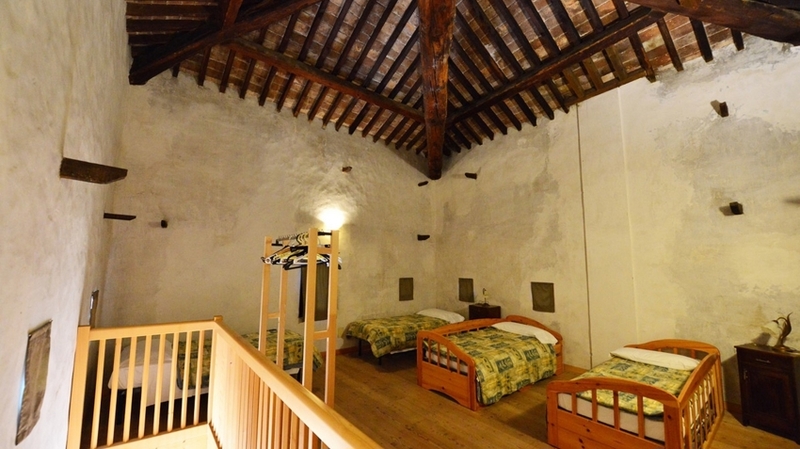 It is located in the ground floor of the castle, between old walls and arches and offers a special ambience. 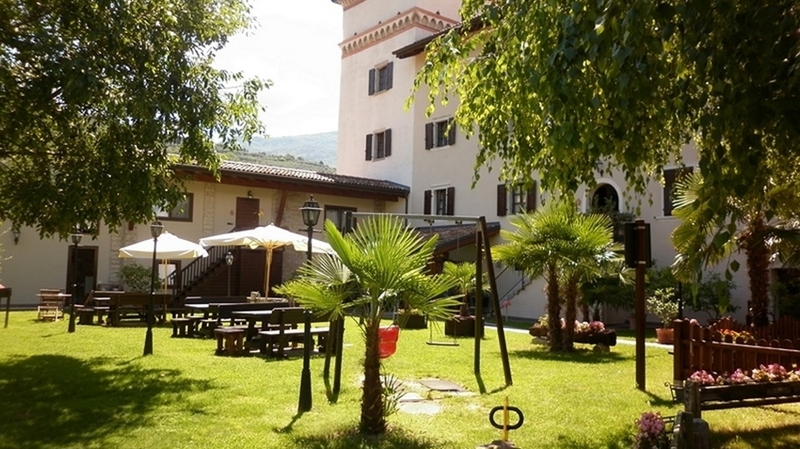 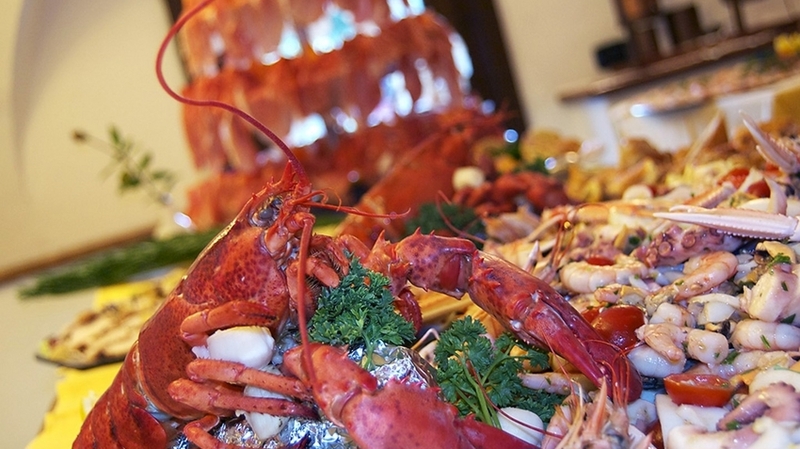 La Colombera is not just the perfect accommodation for gourmets, but also for sportsmen. 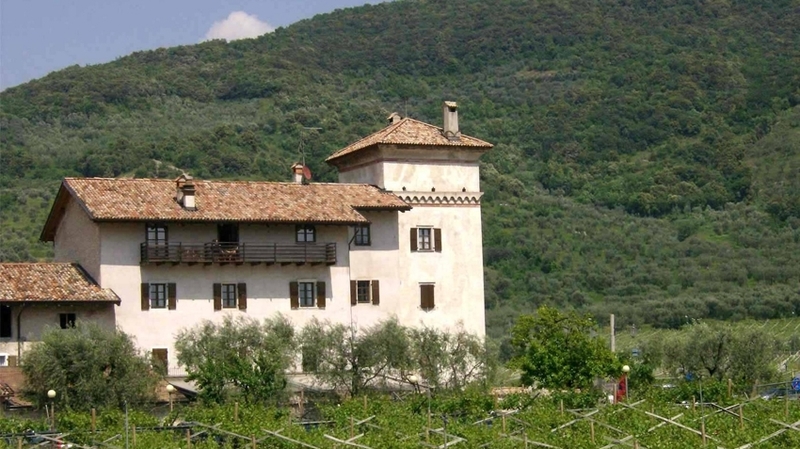 In the surroundings of the castle you can find numerous hiking paths and bicycle routes, but also possibilities for surfing, sailing and mountain biking. 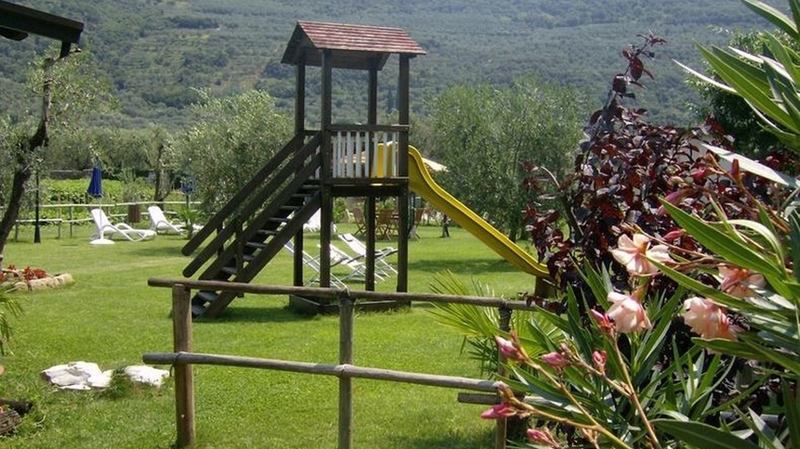 Families enjoy our extensive garden with children’s playground and the playroom, which guarantee a lot of fun for young and old alike.